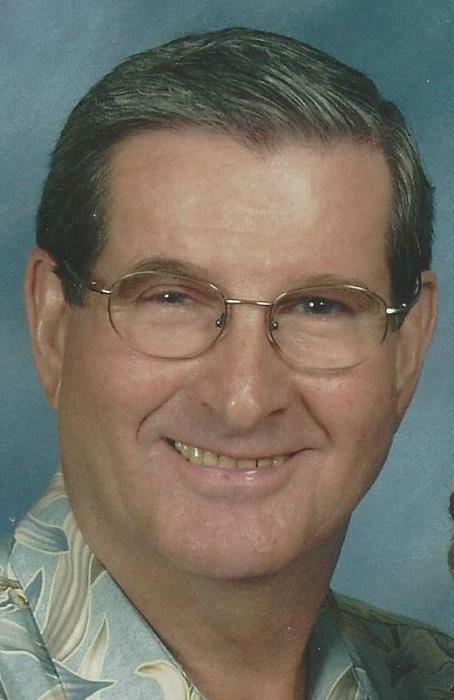 Vincent C. “Vince” Yuhas, 80, of Streator passed away Friday, February 1, 2019 at O.S.F. St. Francis Medical Center in Peoria. Mass of Christian Burial will be celebrated at 10:00 A.M. Wednesday at St. Michael the Archangel Church, Streator. Msgr. Philip Halfacre will officiate. Burial will be in St. Anthony Cemetery, Streator. Pallbearers will be, Mark Yuhas, Brad Orban, Greg Spangler, Dan Yuhas, Hal Yuhas, Rob Schmidbauer and David Spangler. 3rd Degree members of the Msgr. George A. Dzuryo Knights of Columbus Council #790 will serve as honorary pallbearers. Full military rites will be accorded by members of the Leslie G. Woods American Legion Post 217 and the Veterans of Foreign Wars Post 1492. Born August 26, 1938 in Streator, he was the son of John and Helen (Woll) Yuhas. He married Margaret Mary Benner on May 2, 1964 at St. Stephen’s Church, Streator. She preceded him in death on June 22, 2006. He is survived by sons, Vincent (Amy) Yuhas Jr. of Corona, California and Timothy (Melissa) Yuhas of Bloomington; grandchildren, Lindsey (Jason) Brown of Bloomington, Charles Yuhas of California, Malinda Yuhas of California, Leah Yuhas of Bloomington, Maranda Yuhas of California, Lauren Yuhas of Bloomington and Chad Yuhas of California; and brothers, Francis (Carolyn) Yuhas of Streator and Edward (Theodora) Yuhas of Sparta, Tennessee. He was preceded in death by his parents; his wife; sisters, Margaret Spangler; a brother, John Yuhas and a sister in law, Elizabeth Yuhas. Born and raised in Streator he attended St. Anthony Grade School and Streator High School. He graduated from Woodland High School. He served in the United States Army stationed in Germany. He worked for Owens Illinois Glass Company in the Maintenance Department for many years until his retirement. He was a long time active member of St. Anthony Church and currently belonged to St. Michael the Archangel Church. He was a member of the Msgr. George A. Dzuryo Knights of Columbus Council #790 and the Streator Elk’s Club. Vince enjoyed fishing and golfing through the years and participated in the K of C Golf League for many years. He was also involved with Reading Township. He was a loving husband, father, grandfather and brother and will be dearly missed by his loving family.